Scientists at the National Hurricane Center have officially upgraded Hurricane Michael to a category 5 storm. 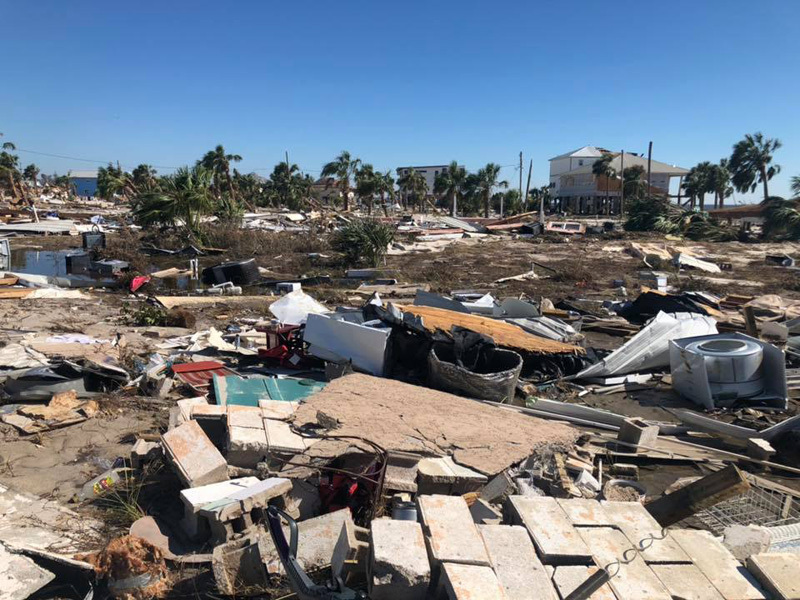 They have made the final determination that the wind speed of the storm was 160 mph, 5 mph over the original estimate, at the time of landfall on October 10, 2018, near Mexico Beach and Tyndall Air Force Base. 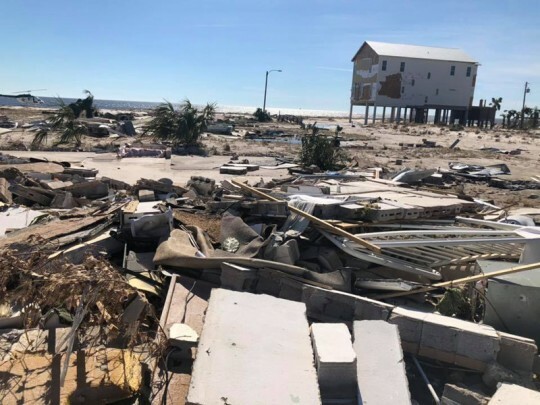 Michael is the first hurricane to make landfall in the United States as a category 5 since Hurricane Andrew in 1992, and only the fourth on record. The others are the Labor Day Hurricane in 1935 and Hurricane Camille in 1969. Michael is also the strongest hurricane landfall on record in the Florida Panhandle and only the second known category 5 landfall on the northern Gulf coast. The real-time operational intensity estimate was 155 mph. The final best track intensity estimate of 160 mph was determined by a review of the available aircraft winds, surface winds, surface pressures, satellite intensity estimates and Doppler radar velocities – including data and analyses that were not available in real time. The 5 mph increase in the estimated maximum sustained wind speed from the operational estimate is small and well within the normal range of uncertainty, according to the National Weather Service. Category 5 winds were likely experienced over a very small area at and near the coast, and the change in estimated wind speeds is of little practical significance in terms of the impacts associated with the storm. Michael produced devastating winds and storm surge and was directly responsible for 16 deaths and about $25 billion in damage in the United States. Before hitting the United States, the cyclone brought hurricane-force winds to the western tip of Cuba when it was a category 2 Hurricane. Along with wind speed, atmospheric pressure is a measure of storm intensity. In general, the lower a storm’s central pressure, the higher the winds. Michael’s central pressure of 919 millibars (mb) at landfall is the third lowest on record for a landfalling U. S. hurricane since reliable records began in 1900, trailing only the Labor Day Hurricane of 1935 (892 mb) and Hurricane Camille of 1969 (900 mb). 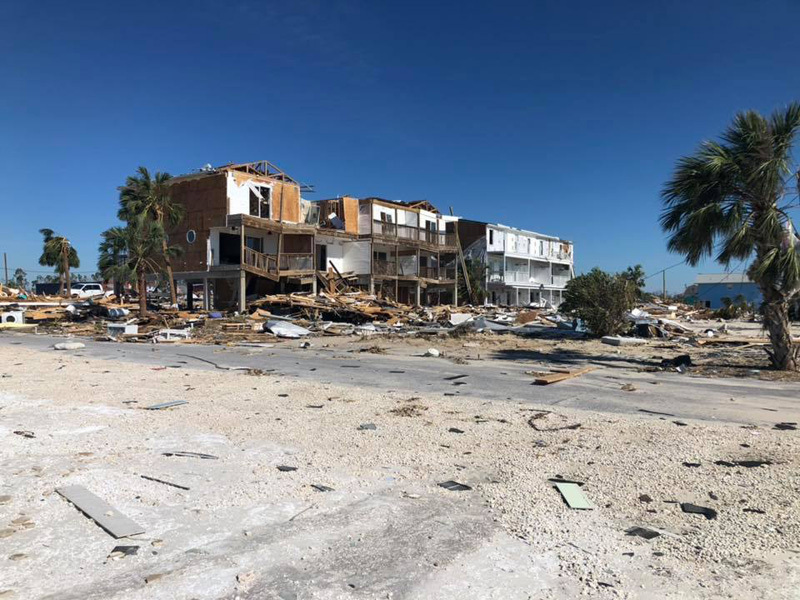 Pictured: Mexico Beach just days after after Hurricane Michael. NorthEsambia.com photos, click to enlarge. The Alabama Department of Agriculture and Industries (ADAI) has licensed 152 growers, 59 processors, and 5 universities to grow, cultivate, process, and research industrial hemp in 2019 — including seven licenses in Escambia County, AL. Individuals and businesses must be licensed by the ADAI to grow or process industrial hemp in Alabama. Under Alabama and federal law, it is unlawful to possess any raw or unprocessed hemp, hemp plants, or hemp seed without a license from the ADAI. A flood warning has been issued for the Escambia River near Century until further notice. Saturday morning, the river stage was at 15.4 feet. The flood stage is 17 feet, and the river is forecast to rise to near 18 feet by Monday morning. The river will begin to fall on Tuesday. 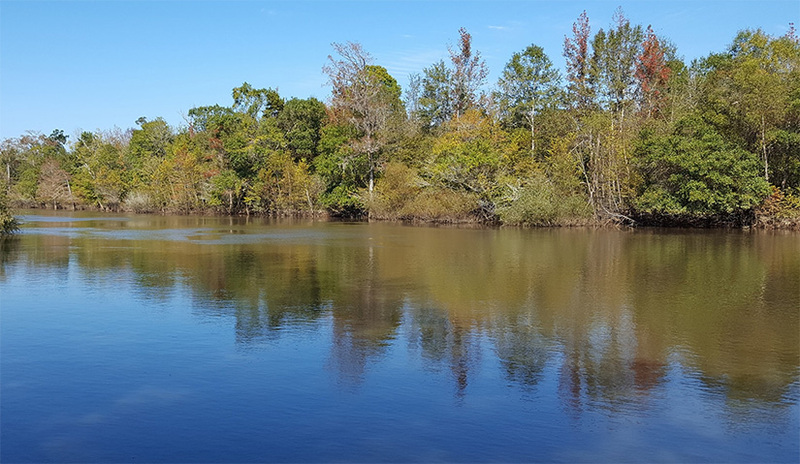 At 17 feet, there will be considerable flooding of lowlands, and at 19 feet low lying pasture will flood necessitating the movement of cattle.